DURASTAR ULTRA-COOL coatings combine a silicone-modified polyester (SMP) coatings formulation with infrared-reflective (IR-reflective) pigments to enhance the beauty and extend the service life of metal roofing, siding, panels and other building components. 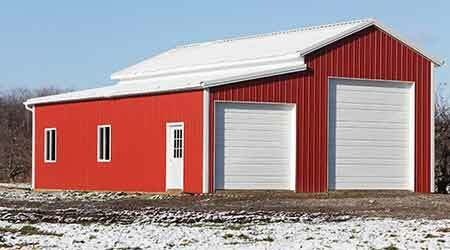 Durastar ULTRA-Cool coatings incorporate polyester-based resin, crosslinking and tinting technologies to protect industrial, agricultural, storage and other types of metal buildings while providing exceptional chalk resistance, fade resistance and forming flexibility. The addition of ULTRA-Cool IR-reflective pigments deflects solar heat, enabling buildings to stay cooler and use less energy for air-conditioning. Durastar ULTRA-Cool coatings are available in an array of light, medium and dark colors to meet cool roof requirements established by the LEED, ENERGY STAR, Cool Roof Rating Council (CRRC), Title 24 and ASHRAE 90.1 programs and regulations.